Take it to the battlefield and challenge multiple opponents at once as you fight against impossible odds. 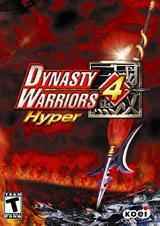 Dynasty Warriors 4 uses the most advanced melee-fighting engine to deliver the next evolution of tactical action. Ancient grudge and new mutiny bring an end to the four hundred year reign of the Han dynasty. The once noble empire is divided into three warring states. It covers a one hundred year cycle, from civil unrest to the reunification of China under the Jin dynasty. Fourth in its series, this game's deep storyline incorporates a host of new features, character depth and insight into the turbulent events of the Three Kingdoms era. Can you succeed as a warrior of honor and loyalty in the face of adversity? Your obligations to lords and allies guide your path as you fight to unify a divided empire.